One of our favorite bloggers, Nadia of With Glittering Eyes, created a lovely tutorial for her aunt Joan when she got a new machine and the Essentials software. We were all beginners at one time and know that the first project can be overwhelming for someone new to machine embroidery. All these ideas are bouncing around in your head and you don’t know where to start. 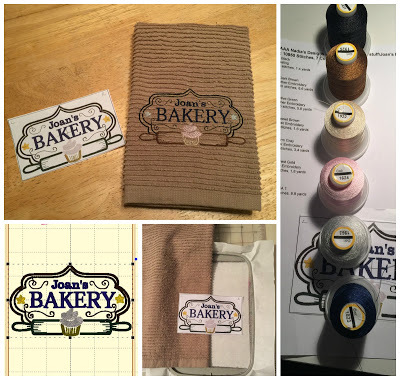 This project tutorial walks you through step by step from customizing the design by changing the name, to printing templates, hooping and stitching and finished embroidered towel. The step out photos will help give you the confidence to complete the project with professional results. Nadia has many blog posts on the Embrilliance products – be sure to check out her blog by using this link! Posted 1 year, 10 months ago at 11:15 am.